Reprise: Is Donald Trump Suffering From Delusional Senile Dementia? Considering Donald Trump’s increasingly bizarre and disturbing behavior, this seems like a good time to revisit an article posted here a year and a half ago. Trump continues to exhibit signs of mental infirmity. He is posting overtly bigoted tweets. He is reasserting his birther beliefs that President Obama’s birth certificate is fake. He is now claiming that the admissions of sexual assault that he made on video to Access Hollywood, which he previously acknowledged and apologized for, are not him. Watching the very public meltdown of Donald Trump over the past few months could serve as a useful tool for academic research into dementia and brain disease. When looking objectively at the symptoms commonly associated with dementia it is hard not to consider Trump a likely candidate for such a diagnosis. What follows is an exploration of the three most prominent symptoms of dementia and their relationship to Trump’s behavior. 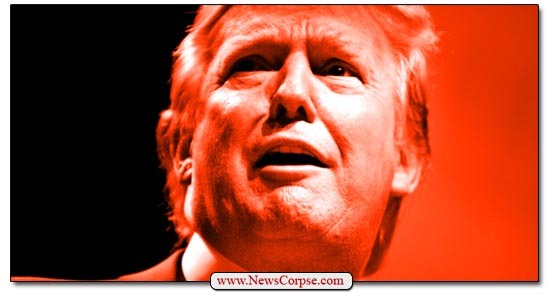 From the very beginning of his of campaign for the Republican nomination for president, Trump engaged in outbursts that were hostile and irrational. His assertion that the immigrant population in the U.S. was the result of Mexico sending over rapists and murderers was untethered to reality. And that was just the first day. Trump went on to disparage Sen. John McCain, saying that he was not a war hero; he charged that Megyn Kelly’s questions during a Fox News debate were unfair because she was menstruating; he proposed a ban on all Muslims from entering the country; he had a prominent Latino journalist ejected from his rally; he told a reporter that he isn’t bothered by comparisons to Hitler; and most recently he has been threatening to sue Ted Cruz in order to challenge his citizenship and eligibility to serve as president. Trump’s birtherism with regard to President Obama is another illustration of a severe mental failing. There has never been a single bit of information that showed anything other than that Obama was born in the U.S. to a U.S. citizen. Nevertheless, Trump continues to doubt the truth of this. A few years ago he claimed to have sent investigators to Hawaii and that what they found was amazing. He has since refused to reveal what they found, or even to discuss it. These are all examples of behavior that is inconsistent with rational judgment. They have no basis in fact and cannot be portrayed as constructive methods of expressing oneself. Those who would argue that Trump’s showing in the polls validates his conduct are missing the point. Regardless of the result, these actions are not indicative of a rational mind. While it’s true that Trump has attracted a following, the same was true for Charles Manson and Jim Jones and Sarah Palin, yet no one could plausibly argue that their judgment was unimpaired. And speaking of Sarah Palin, who has endorsed Trump — Is she writing his speeches now? Trump has frequently bragged that he has“one of the best memories of all time.” However, that boast has been utterly demolished by his own words and actions. One notable example was his insistence that he had seen television reporting of “thousands and thousands” of Muslims celebrating the collapse of the World Trade Center towers on 9/11. That was an invented memory because there is no evidence that it occurred, despite the fact that television footage of such an event would be easily retrievable. Clearly Trump has either a failing memory or mental blocks that render his memory unreliable. Many other examples exist. For instance, he said he couldn’t remember a disabled reporter that he disgustingly mocked, but they had met many times; he threatened to sue Cruz three days after he promised that he never would; he complained that the media never reported a comment by Jeb Bush and seconds later, after Bush denied the charge, Trump defended himself by saying that the news reported it ten times. This is perhaps the symptom least in need of elaboration, but here goes anyway. Trump is the most juvenile presidential candidate in this nation’s history. He lashes out with infantile insults about people’s looks and character. If he is criticized he will punch back with baseless, often unrelated, rebuttals. And that’s when he isn’t throwing tantrums like when he ditched the Fox News debate. Everyone who doesn’t exhibit unrestrained adoration is an enemy who is out to destroy him. Trump has the ego of a four year old who believes the world revolves around him. 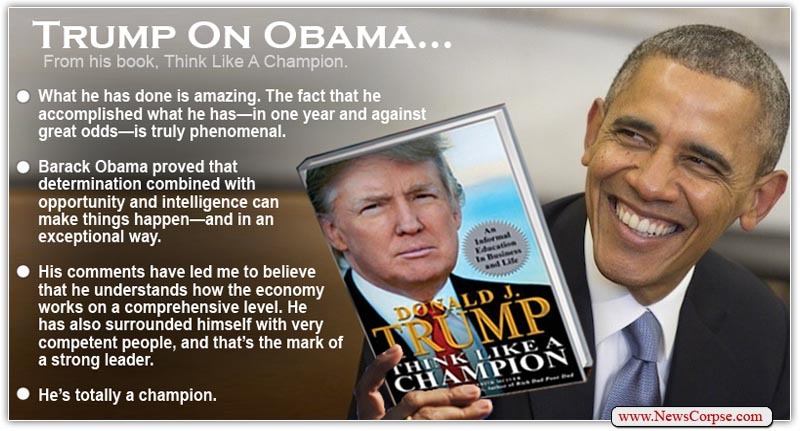 The parts of his campaign stump speeches that aren’t attacks on his rivals are comprised primarily of bragging about how great he is at everything and how high his poll numbers are. The rest of his rhetoric, when put through the Flesch-Kincaid readability test, scored at the third grade level. Of course, that’s probably still somewhat higher than most of his Tea-vangelical supporters. Traitor trump is completely unhinged. Have thought and said for some time that he’s demented. His actions certainly point to an unhinged mind and he’s getting worse. Unfortunately, his behavior on the international front could have disasterous consequences. In addition to annoying allies, traitor trump is a world class embarrassment. He’s a fool for sure..
Of course, he is NOT suffering from dementia; he is enjoying every minute of it. I suspect he knows exactly what he’s doing and is just working a con for the most profit he can.